Formed as a solo recording project in 2016, Messora is a band that obscures genre. To the band, the music is what feels best in the moment. To the fans, it is a kaleidoscope of sound that appears different at every glance and to every eye. 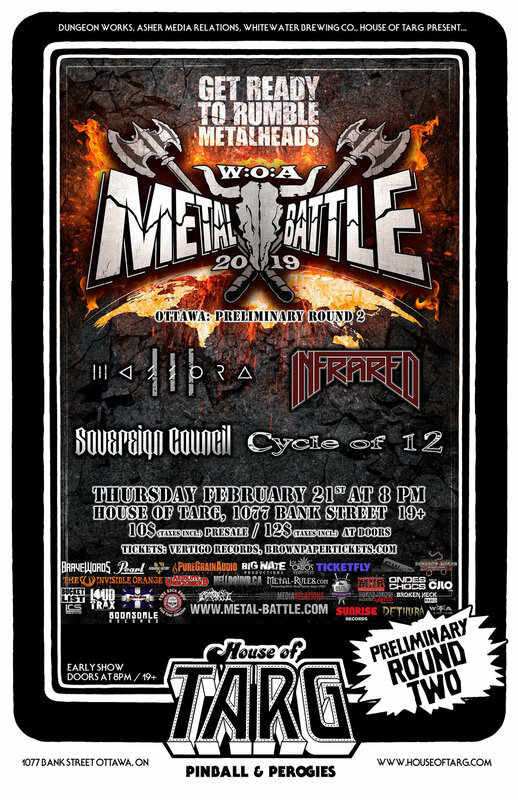 Messora has been described as Death Metal, Black Metal, Thrash Metal, Progressive Metal, Melodic Metal, and Doom Metal by fans and showgoers. The band knows how to set themselves apart from others musically as well as aesthetically, with showmanship and presentation second only to musical performance during their live show. They demand attention with their look, but keep it with strength of their performance and musicianship. If Infrared sound like classic thrash metal, that’s because they are! And rightfully so since they were making music as teenagers in the mid to late 80s back when the Big 4 (Metallica, Megadeth, Slayer, Anthrax) were just becoming famous. They literally lived and breathed that scene as it was happening and garnered national attention in Canada through their song and video for Thoughts Caught (In Between). Then....life happened and members took different paths and the music, that was hot in the underground metal scene and loved by demo tape traders near and far, went dormant for 27 years! Now, Infrared are back and their songs have finally been captured, as they should have been so many years ago, on their debut album No Peace. Better than ever, it's time to make up time!